Isley is a male Awakened being, ex Number 1 of the Organizations very first generation of warriors. When in his transformed state he resembles a sleek, black centaur whose right arm can act as a lance or axe and the left as a bow or shield. He fires homing arrows with great skill. Isley initiated the Northern campaign in order to kill Luciela and take over the south and become an unrivaled power by destroying the possibility of an alliance between Riful and Luciela against him and Priscilla. Isley sacrificed his awakened followers to distract the organization and Riful, while he went south to eliminate Luciela. The organization sent 24 claymores to slow down Isley's allies, while they prepared Alicia for controlled awakening. During the North campaign, he finds Raki and takes him in. Later when Raki compliments him on his skills with a sword, Isley agrees to become Raki's teacher and begins to instruct him in swordsmanship. Isley comments that Raki reminds him a lot of how he was in his own youth. In the next seven years after he the sent the awakened beings to the west and east, it is discovered that Isley emerged victorious against Luciela in which both contestants nearly died. Isley remained quiet for the next 7 years and later, he is discovered being hunted by Abyss feeders. In the aftermath, Isley finally falls after been slowly eaten away. Also within the time, what happened in the aftermath between Luciela and Isley was told by Riful as she personally visited Isley as a one time chance to slay him only to discover Priscilla. It is then she finds that Isley who supposedly defeated Priscilla was obliterated by her in a split second in which he submits being her general and covered up the story. 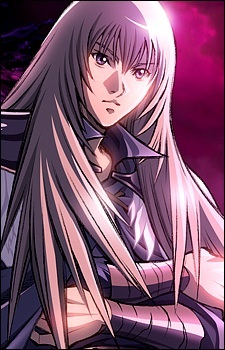 Isley cunningly set his plans to motions as the only people who could defeat Priscilla was something stronger than Abyss ones and quickly destroyed the possible chance of being defeated by killing of Lucilla one of the 3 Abyss ones therefore unable for Riful and Luciela to become alliances thus nothing to oppose Isley.